The Argolic Gulf (Argolida) harbours an impressive amount of archaeological treasures, which makes a visit to these waters from the nearest cruising port of Athens almost mandatory. Indeed most cruising vacations allow for two weeks of even longer in these gentle sailing areas (including here also the Saronic Gulf and the Hydra Gulf) just to be able to explore the myriad of temples, fortresses and archaeological sites. Besides the beautiful islands of Aegina, Hydra, Poros and of course Spetses, the long stretch of coastline dominated by steep mountains holds many ancient strategic places. 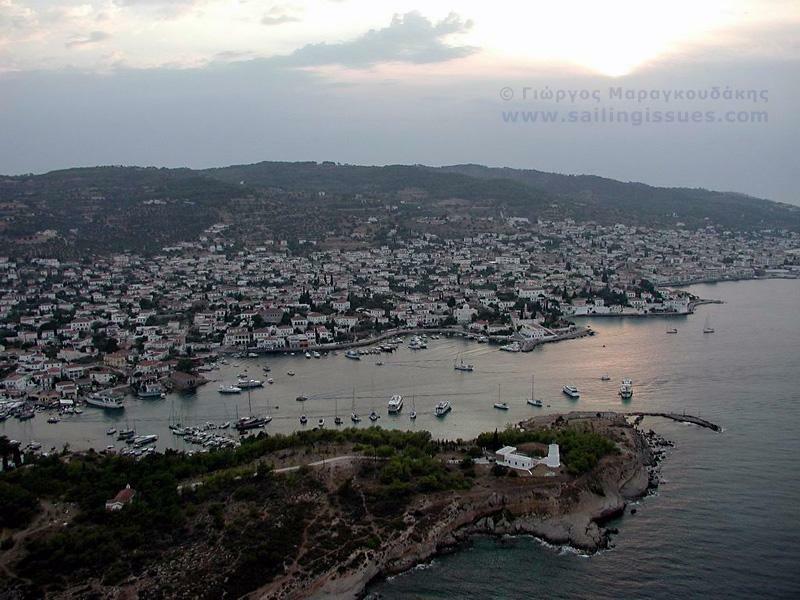 There are also fertile fields, stunning anchorages to swim and snorkel at, friendly tavernas and restaurants. And - ideal for cruising vacations - the winds and waves are ideal for luxury sailing yachts, hence many of the motoryachts, superyachts and gulets that have Athens as their home port can be seen frequenting these ancient surroundings, just east of Spetses island.